Family and friends of TJ Miller are raising money to pay for uninsured medical expenses associated with his liver transplant. TJ has battled an auto-immune liver disease (Primary Sclerosing Cholangitis aka PSC) for the past 22 years. PSC is a progressive illness that attacks the bile ducts causing scarring, blockages, and in many cases bile duct cancer. PSC is strongly associated with ulcerative colitis or Crohn’s disease, which TJ also suffers from. There is no cure for PSC, but a liver transplant is currently the best treatment to eliminate the awful symptoms and avoid bile duct cancer. Due to TJ’s liver failure he experiences daily fatigue, severe pain due to bile duct blockages and spasms, cholestatic pruritis (an awful deep itching due to a buildup of bilirubin in the blood), and nausea. There is no area of life that isn’t effected by TJ’s chronic illnesses, in fact it is quite amazing how many functions the liver does and how problems can distress the whole body. Thankfully, the University of Utah is now offering living liver donations, which means that TJ can end his 6 year wait on the very long traditional liver transplant list. An angel of a friend, Rachel, has offered and been approved to donate part of her liver to TJ. Rachel came into our lives a year ago, and upon hearing TJ’s story, knew she wanted to help. After many months of praying and research and numerous tests we found out that Rachel is a great match. The surgery is currently scheduled for July 17th. We are asking family and friends to help with critical expenses TJ will face immediately after surgery. TJ is an amazing and devoted father of 3 and a wonderful husband to Ainsley. Grace (14), Lucas (11), and Addison (8) are his pride, joy, and whole world. Despite his chronic health conditions, TJ has persevered to live a productive and full life. 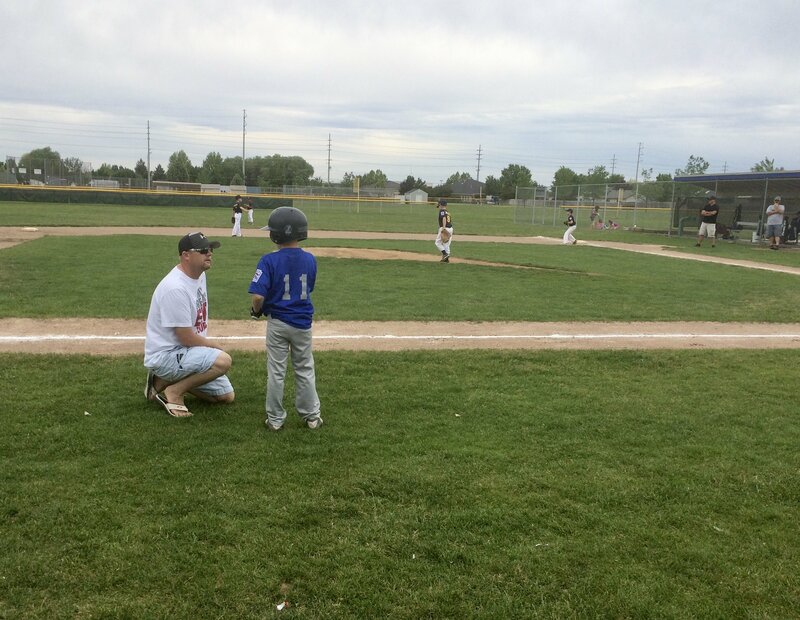 Coaching T-ball, baseball, and football for the past 8 years, he has become a staple to the little league and youth football communities. He always puts his children first, never missing a sports game, dance performance, or school activity no matter how he feels. TJ’s desire to push forward and keeping living life has helped him avoid the inevitable for a long time. But now it’s time for TJ’s liver transplant journey to finally really begin, and he needs our help. Donations to Help Hope Live can help ease the financial burden of a transplant and allow TJ to focus on a healthy recovery and a long life ahead with his family and friends. Please feel free to share TJ’s story on your own social media or with any church or work groups. TJ has chosen to fundraise with Help Hope Live in part because Help Hope Live assures fiscal accountability of funds raised and tax deductibility to the full extent allowed by law for donors. Donors can be sure that funds donated will be used only to pay or reimburse medically-related expenses. To make a tax-deductible donation to this fundraising campaign, click on the Donate Now button. It’s been just over 3 months since TJ’s transplant, and what a ride it has been! I’ve been updating Facebook on TJ’s (and Rachel’s) healing progress, and I’ve failed to post an update here since 3 days post op! Rachel had her 3 month post op check up last week, and she is doing wonderfully. She said it doesn’t feel like she’s had surgery at all. Somehow she feels a little guilty for that because of TJ’s long healing process. But that is our biggest hope for her, no lasting effects from the surgery. TJ is doing pretty well. A few hiccups here and there as his body adjusts to all the new liver and new medications. That is not unexpected by his transplant team, as they have told us many times that their job is to manage complications as they arise. We continue to practice our patience and trust in the process as it unfolds. We are so grateful for all the amazing support we have received throughout this journey. All of this was made possible by the community surrounding us. Wow! What an incredible and overwhelming 3 days it has been! TJ and Rachel had their surgeries on Tuesday (July 17th), and they both went very well. Rachel’s surgery began around 8AM and she was recovering in the ICU by 3PM. TJ was taken back at 12PM, and his surgery began at 2PM. The surgeons said that Rachel couldn’t have had a more perfect liver for TJ. TJ didn’t need any blood products or transfusions, which is very rare. They were able to extubate him in the operating room and he was recovering in the ICU by 9PM. So many answered prayers just regarding the surgery alone. It went exactly as the doctors hoped it would. Rachel was up and out of bed that same evening, but her main struggle initially was keeping her nausea under control. She was moved out of the ICU and into a regular hospital room the next afternoon. Physical therapy had TJ up and out of bed the morning after surgery, and he walked to Rachel’s room for a short visit. It was the sweetest reunion I have ever seen. Keeping TJ’s pain under control was the biggest issue, and he was moved out of the ICU after 2 nights. He happened to get a room right next door to Rachel. Now we are on day 3 and Rachel is doing wonderfully. She has showered and been out of bed a bunch, visiting TJ, walking down to the balcony, and today a trip to the Starbucks in the lobby. She will probably be discharged in the next couple days, and when she feels ready, will travel home to Boise with her parents. TJ’s IV meds have now been switched almost entirely to oral medications, and he was out of bed and took short walks 4 times today. He had a very rough night last night, but he made it through that and has been much much better today. TJ has been sleeping a lot, especially after each trip out of bed, and even after brushing his teeth or washing his face. One of the therapists explained that his body is burning so many calories trying to heal, that any other activity is very draining. Thank you all for the support, prayers, and love. It really has made all the difference. We are in awe of everything that has happened in such a short period of time and can see the future unfolding before us. We are so very grateful. TJ and Rachel’s surgery is tomorrow and we can hardly believe this day is almost here! It feels so surreal, but we are all ready to get onto this next chapter of healing. We are getting settled into our home away from home, a 2 bedroom apartment close to the hospital. TJ doesn’t have to stop eating until midnight tonight, so we will all enjoy a delish dinner this evening. I will post updates tomorrow on my social media when I am able to. Thank you all so much for the love, support, and prayers. This community has been surrounding us more than we ever imagined. Two weeks until surgery day! It felt like time was moving so slowly for the last couple months, and now it is speeding along. 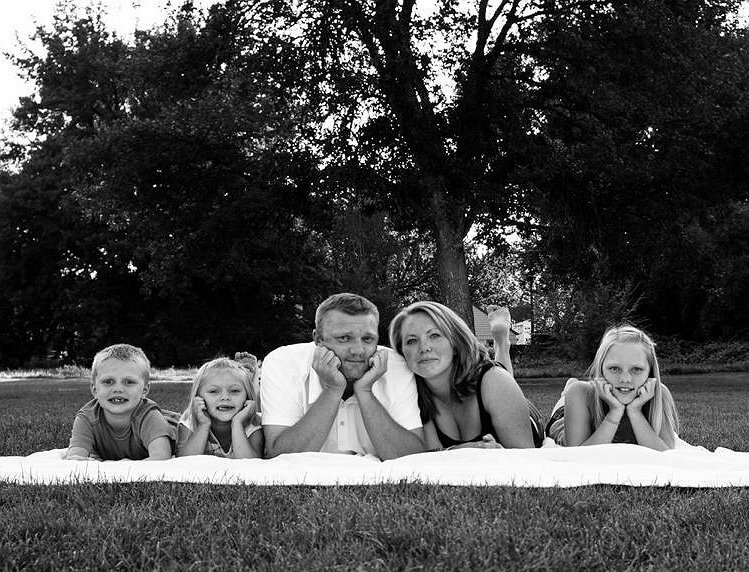 This amazing family and ours will forever be connected by the gift Rachel is sharing with TJ. So grateful for the generosity that is coming our way and so grateful that our paths crossed a year and a half ago. In fact, we will never quite be able to express how thankful we really are, someday we will pay it forward to others in need. I can’t express enough the deep gratitude TJ and I have for all of the support he has been receiving. As many of you know, TJ’s Dad passed away recently, leaving a giant hole in our hearts. As the waves of grief crash in, there has been the wonderful blessing of family and friends comforting and lifting each other up. The reminder of the fragility of life and the importance of sharing love is so near at times like this. With 45 days until TJ’s liver transplant, you all have already helped us raise almost $3,000! That is incredible, and I am blown away by everyone’s generosity and desire to help. I am hoping to keep this momentum going, in some form, as TJ faces a lifetime of anti-rejection medications and medical follow up expenses. My dream is for him to focus on healing and living the long life he so deserves without the worry of medical and travel costs. As I work on my ability to accept help and support (this has always been a challenge for me), I was reminded by a dear friend: how wonderful would it be for us all to be able to just focus on the joy of this amazing opportunity?! from Sonja and Pat Holbrook, toward TJ's health and the quilt raffle. What a blessing to hear about your sweet story. Our prayers for you both. We met Rachel over 20 years ago on our daughter's move in day at college. I’m a friend of Rachel’s and have been following your story. Much prayers to you and your family! With much love and prayers for a complete recovery! We have been praying for you and your family for stamina, determination, peace and healing. Praying for all involved here in Nashville, TN Blessings to your family and the Erkmann family! We are praying for speedie recoveries for TJ and Rachel. Thinking of you all and sending love to the Miller and the Erkmanns! $10 from Darcy Williamson, PO Box 4190, McCall, ID 83638, $10 from Anna Stark, address to follow in pm $20 from Brenda Fulfer, address to follow in pm All are donations toward the raffle quilt. We're friends of Arlen, Diane, and Freya. Glad to be in a position (finally) to be able to pitch in. Will be thinking the very best thoughts for your whole family. This donation is from Nancy Martin, 25202 So. Kingston Rd NE, Kingston WA 98346. She would like 5 raffle tickets for the butterfly quilt. Best Wishes TJ and family. TJ, We're CABI friends of Arlen and Diane Donald. We are honored to have the opportunity to extend our support of you in this life-changing way. May to have a COMPLETE and SPEEDY recovery! Team Burgess will be thinking and praying for you all the way! I'm so thrilled that this opportunity has finally come for you. You are all so loved. Dear TJ and Ainsley --- It was SO GOOD to see you guys last week. We are keeping you in our thoughts and sending lots of love your way. Hang in there! We will be ready to take you out on the boat any time. xoxo Pam & Paul; Shea & Libby. Wishing you a fast recovery TJ. You're all in my thoughts and prayers. We love you, TJ. Our thoughts are with you as you celebrate your dad's life this week, and we look forward to good news as you recover from your upcoming surgery. TJ's Father was my classmate. He was a wonderful man. I am sorry for your loss.